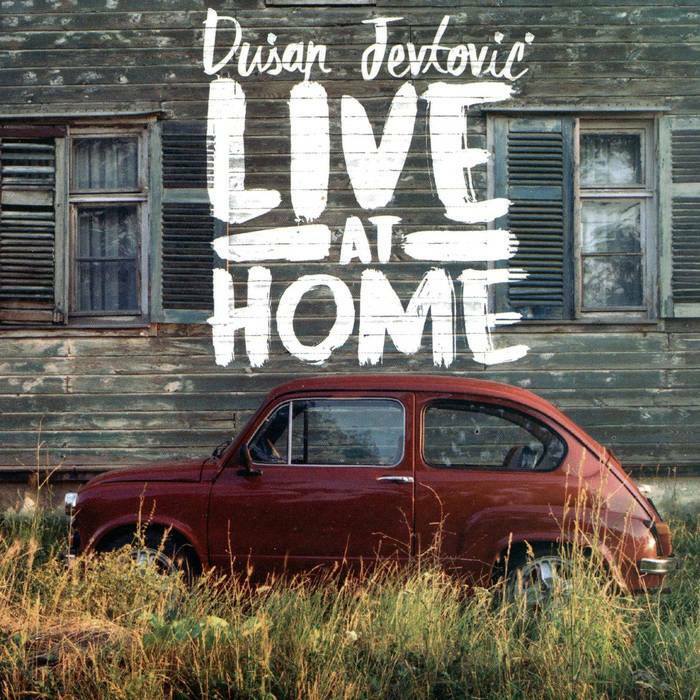 A very high level live recording on a limited edition CD (200 only for sale at bandcamp MoonJune store), by four piece jazz fusion outfit led by Serbian born composer and guitarist Dusan Jevtovic. 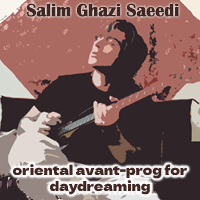 From the early minutes there is a crisp clear no hurried sound, which allows time to be used with great advantage. The magic continues to explore, and calmly but confidently, glides around with a ghost-like ballroom dance from yesteryear. On track two (‘Angel’) the audience (which by the way is non-intrusive throughout) is presented with a brief bit of singing by Dusan. ‘Ohrid’ (track three) fills the air with a mixture of Weather Report/Soft Machine/Quiet Sun and related fuzz bass Canterbury band sounds. The ease of how each musician presents himself (Dusan Jevtovic – guitar, Vasil Hadzimanov – keyboards, Pera Krstajic – bass guitar, and Pedia Milutinovic – drums) is just one of the many reasons this live performance stands out. The material chosen (much of it is from Jevtovic’s previous ‘No Answer’, which featured only a three piece outfit that included Vasil Hadzimanov on keyboards and the great Asaf Sirkis on drums), is top notch fusion with a supreme balance of spaciousness and complexity. The guitar work from Jevtovic makes its marker with on the money perfection amongst the Canterbury electric piano work of Hadzimanov, all gelled and packaged like Christmas with varietal bass (from fuzz, fretless and friction) and pristine drums from Milutinovic. Top notch performance by all. ‘Babe’ (track five) is a multi dimensional progressive piece that involves Crimson-like heavy crunch guitar and rhythmic absolution, as well, it has a sampled voice loop from a traditional Serbian group singing a part from a song called ‘Pcelicica Lako Leti’. This is very hymnal in contrast to the head first base of the composition by Jevtovic. ‘Briga’ (track six – written by Hadzimanov) takes off with a celestial blow out, sounding like a cross of Percy Jones and Ozric Tentacles, with alternately haunting voices and intermittent intercom sounding annoucements. This is a ten and a half minute piece of spell binding and totally exhilarating, in the world of Gong, and spacey middle eastern fusion. Outstanding! And to top things off, they stay trippy with a way out there electronic music display which is edited and lasts only just over two minutes. Sadly it fades out with no audience reaction or ending, so that left me wishing to hear the whole piece and how it ended, and the audience’s stand up applause begging for more. However, that is a minor thing and no real complaint. 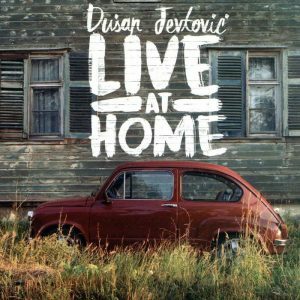 Recorded live at Dusan’s home town of Kragujevac, Serbia, on December 23, 2016, at Decije Pozoriste, the seven tracks are superb and this is a fine release. There are no reasons anyone with an interest in top shelf inventive jazz fusion and beyond should hesitate to buy this gem. Besides that, all proceeds of sales go to Dusan Jetovic’s next recording.